In this quick article, we will discuss installing Spring Boot with build tools that is maven and gradle. 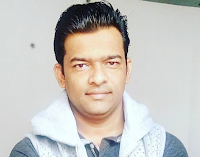 Spring boot provides beautiful Spring Boot CLI feature to quickly experiment with Spring Boot. If you are new to Java development or if you want to experiment with Spring Boot, you might want to try this Spring Boot CLI (Command Line Interface) first. We can use Spring Boot in the same way as any standard Java library. To do so, include the appropriate spring-boot-*.jar files on your classpath. Spring Boot does not require any special tools integration so you can use any IDE or text editor. Also, there is nothing special about a Spring Boot application, so you can run and debug a Spring Boot application as you would any other Java program. Although you could copy Spring Boot jars, Spring boot team generally recommend that we use a build tool that supports dependency management (such as Maven or Gradle). Let's discuss how to use or install Spring Boot with Maven and Gradle. Spring Boot is compatible with Apache Maven 3.3 or above. If you do not already have Maven installed, you can follow the instructions at maven.apache.org. Spring Boot dependencies use the org.springframework.boot groupId. Typically, your Maven POM file inherits from the spring-boot-starter-parent project and declares dependencies to one or more “Starters”. Spring Boot also provides an optional Maven plugin to create executable jars. Not everyone likes inheriting from the spring-boot-starter-parent POM. You may have your own corporate standard parent that you need to use or you may prefer to explicitly declare all your Maven configuration. If you do not want to use the spring-boot-starter-parent, you can still keep the benefit of the dependency management (but not the plugin management) by using a scope=import dependency. Spring Boot is compatible with Gradle 4. If you do not already have Gradle installed, you can follow the instructions at gradle.org. Spring Boot dependencies can be declared by using the org.springframework.boot group. Typically, your project declares dependencies to one or more “Starters”. Spring Boot provides a useful Gradle plugin that can be used to simplify dependency declarations and to create executable jars. The Gradle Wrapper provides a nice way of “obtaining” Gradle when you need to build a project. It is a small script and library that you commit alongside your code to bootstrap the build process. See docs.gradle.org/4.2.1/userguide/gradle_wrapper.html for details.